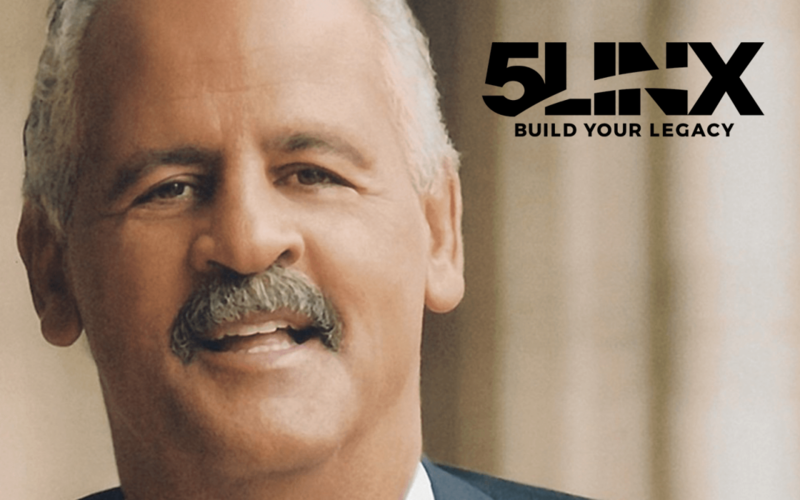 Nine-time INC 500/5000 honoree 5LINX announces that Stedman Graham will be the featured speaker at its upcoming National Training Event in Atlanta, Georgia. The four-day event will be held October 10th through the 13th in the Atlanta Convention Center at AmericasMart. Expected to attract over 1,000 5LINX independent representatives, the event features business, sales and personal development training. 5LINX will also be announcing the addition of new products to its already extensive line-up, which includes MontaVida Coffee & Tea and the OXZGEN line of CBD products. As a renowned businessman, Mr. Graham specializes in the concept of “Identity Leadership”, using his 9-Step Success Process. He has authored 11 books, including two New York Times bestsellers, You Can Make It Happen: A Nine-Step Plan for Success and Teens Can Make It Happen: Nine Steps to Success. His latest release, Identity: Your Passport to Success, is a Wall Street Journal Bestseller. Mr. Graham currently travels the world speaking for organizations such as the Indiana Pacers, CVS Pharmacy, and Wells Fargo. In his career, Graham has advocated for various causes for underrepresented groups and has partnered with the likes of Maya Angelou and Winnie Mandela. He also founded a non-profit organization, which provided over $1.5 million in scholarships. Today he serves as CEO of S. Graham & Associates, an educational marketing and consulting firm, which he founded in Chicago in 1988.